Interclub coaching is the core of the junior coaching program. All junior teams at TKHP receive a weekly one hour lesson from one of our professional coaches throughout the season (excluding during the holidays). Because we have a great number of teams at TKHP, players can join a team of suitable ability and play in a suitable age group and division. They can also choose whether they play in the Friday or Saturday competition. Players are coached according to their stage of development. Lessons are well balanced challenging and enjoyable, with attention given to developing good technique, game strategy and a competitive edge. Although the basic structure of weekly coaching and matches should see steady progression it should not be limited to that by any means. Players are encouraged to get extra hitting, match-practice and private lessons if they requre more technical focus. 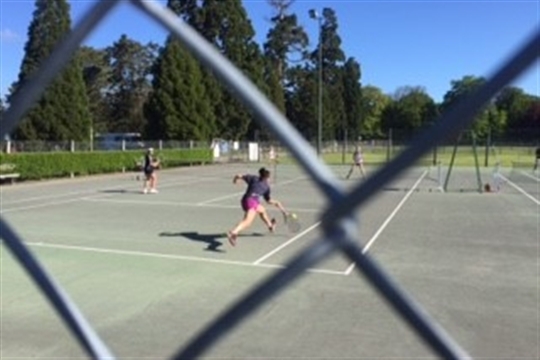 For ambitious players, interclub may be just a stepping stone to playing at a higher level in regional, national and, eventually, even international tournaments. These players can take advantage of all the coaching options available at TKHP, which is guaranteed to accelerate their development.